Brick Travertine Cobblestone creates an elegant, old world look that is extremely charming and attractive. 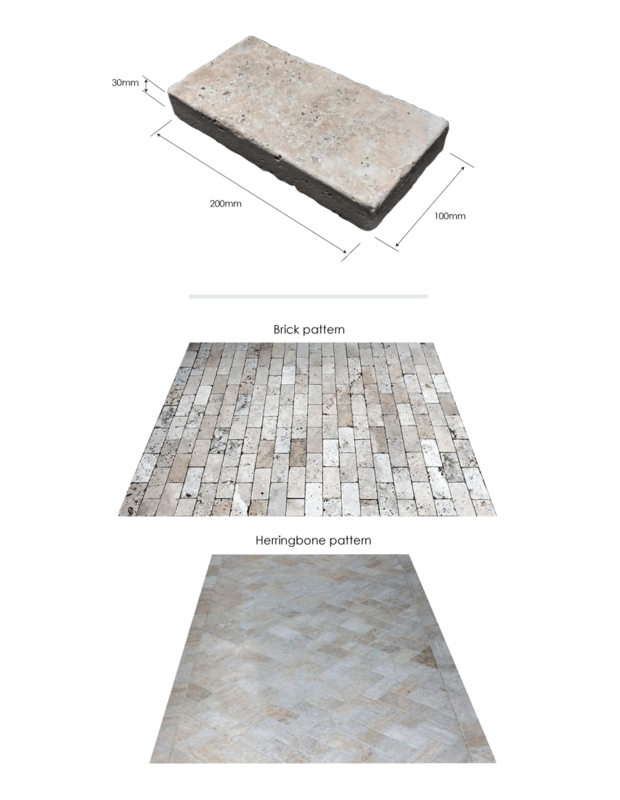 These individual brick size pavers allow you to do brick pattern or herringbone. Our Brick Travertine Cobblestone pavers have high strength and are imported from Turkey. With warm and sophisticated natural tones, these pavers create a timeless antique look that harmoniously blends in with the landscape and offers a light and warm atmosphere.